(RxWiki News) Plenty of smokers also exercise and try to stay fit. 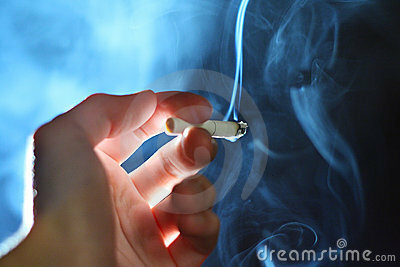 But researchers behind a new study found that they still might not fare as well as non-smokers. This new study compared physical activity levels between a group of generally healthy smokers and non-smokers in middle age. Despite having no serious smoking-related lung conditions, the smokers were less active than the non-smokers, as measured by daily steps taken. "Talk to your doctor if struggling to quit smoking." According to the authors of this study, led by Fabio Pitta, PhD, of the Physical Therapy Department at the University of Londrina in Paraná, Brazil, physical inactivity has been tied to chronic obstructive pulmonary disease (COPD), a serious lung condition often caused by tobacco smoke. Dr. Pitta and team explained that other studies have suggested that reduced physical activity might be tied to an early stage of COPD and that smoking cigarettes may reduce physical activity before the disease even develops. The researchers aimed to explore differences in physical activity levels between non-smokers and smokers without COPD. To do so, Dr. Pitta and team identified 110 generally healthy middle-aged participants at the University of Londrina. These participants included 60 smokers between the ages of 39 and 54 with an average age of 50, and 50 non-smokers between the ages of 40 and 53 with an average age of 48. The groups were matched for demographic characteristics like gender, age, education levels and employment status. Participants wore a pedometer which counted their steps for six days in a row, as a way of measuring their physical activity level. "Walking is the most common form of performing moderate-intensity physical activity in daily life, and pedometers are valid devices that are able to count the number of steps/day and consequently estimate physical activity levels," explained the researchers. Lung function, quality of life and mental health were also assessed through additional tests and questionnaires. After analyzing the data, Dr. Pitta and team found that the smokers generally fared worse, despite not yet having a breathing condition like COPD. "Besides presenting worse lung function, exercise capacity, quality of life, and symptoms of anxiety and depression, smokers also walked less than non-smokers in daily life," the study's authors wrote. The smokers walked an average of 7,923 steps per day, compared with an average of 9,553 steps per day walked by the non-smokers. Dr. Pitta and team concluded that even though the group of smokers did not have COPD or an airflow obstruction, they still seemed to have lower levels of day-to-day physical activity. More research is needed to explore why this might be and to see if the results hold true among a larger group of participants. This study was published online February 2 by the journal Respirology. No conflicts of interest were reported.